A fantastic choice for your first day in Montreal and a good way to get a sense of the city, this three-hour tour covers over twenty key points of interest. 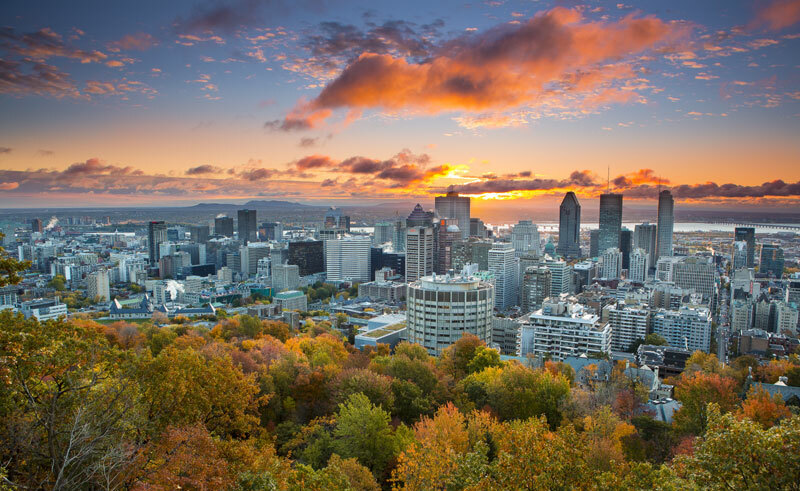 One of the oldest cities in Canada, Montreal was originally established as a fur trading post at the beginning of the 17th century, offering today’s visitors a fascinating history to uncover. The tour includes stops at the iconic towers and stunning facade of the Notre Dame Basilica, a journey through the cobbled streets and winding roads of Old Montreal and the beautiful architecture and classical style of the French Quarter. A stop is made at St. Joseph’s Oratory, a basilica idyllically placed on the Westmount Summit, as well as visiting an observation point on top of the mountain which gave the city its name, Mount Royal.